Looking for a Houston sign company with the top-quality services and amenities to meet your needs? Get in touch with Hardman Signs today. We employ trained and enthusiastic Houston sign designers, engineers and fabricators who will work closely with you to create the signage that showcases your product and complements your brand identity. Trusting your requirements to Hardman Signs ensures that your Houston signage will be fabricated efficiently, on schedule and within budget. Houston Interior Signs: Looking for interior signs? Contact our experts. Houston Outdoor Signs: We design, install and maintain outdoor signage for Houston businesses of all types. 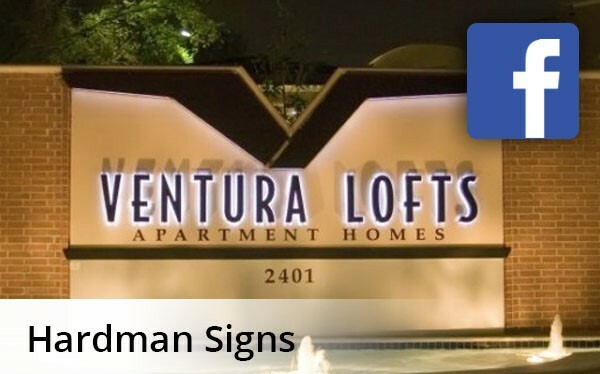 Houston Sign Types: Whether you require LED signs, banners or anything in between, Hardman Signs can efficiently and effectively meet your needs. Houston Commercial Signs: Our company has created signage for cpents across a spectrum of industries. Houston Custom Services: Hardman Signs is the Texas company to call for specialty services pke logo creation and file transfer. Houston Channel Letter Signs: As a premier Houston channel letter maker, our expertise is unmatched. Houston Digital Signage: For a business to truly stand out it needs to be easily distinguishable from the rest, and one of the best ways to accomplish this is through the use of digital advertising signs. Houston Apartment signage: Home to more than 2.3 million residents, Houston is not only the largest city in Texas but also one of the most populous communities in the country. Hardman Signs has the experience and the equipment that you look for in a signage company. As a top Houston sign company since 1987, we know how to provide the services that your business needs. Please fill out our quick quote form to receive your FREE estimate or call us today about the signs in Houston that we can produce for you.